Like real estate, cold storage is all about location. Shelf or drawer? High or low? 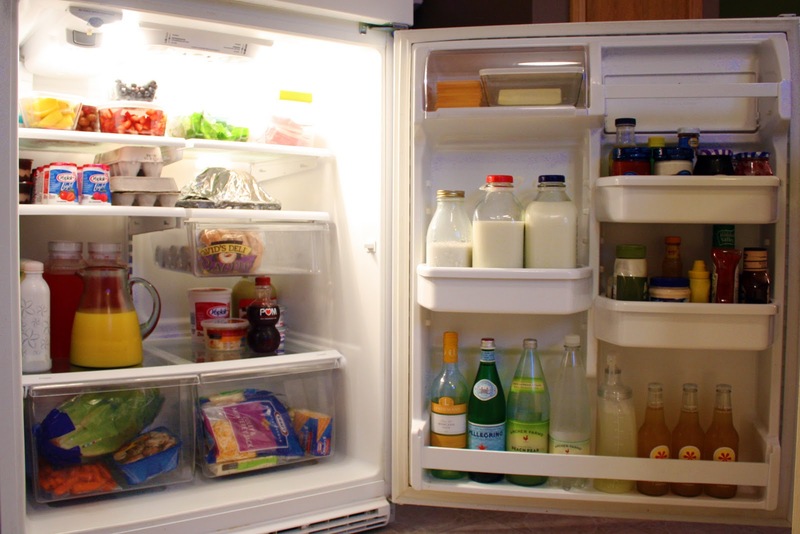 Follow this expert fridge-packing plan to keep contents fresh. Eggs do best where the temperature is most consistent—on the middle shelf. Store in the original cartons (don’t transfer to the fridge egg container). Milk tends to land on the top shelf, but it should be on the bottom, all the way in back, where it’s coldest. Yogurt, sour cream, and cottage cheese fare best on the bottom shelf for the same reason. Stack items on a turntable to keep everything accessible and expiration dates visible. Packaged raw meat should go on the super-cold bottom shelf. And if juices drip, they won’t contaminate the whole fridge. Vegetables stay fresh longer with a bit of humidity. 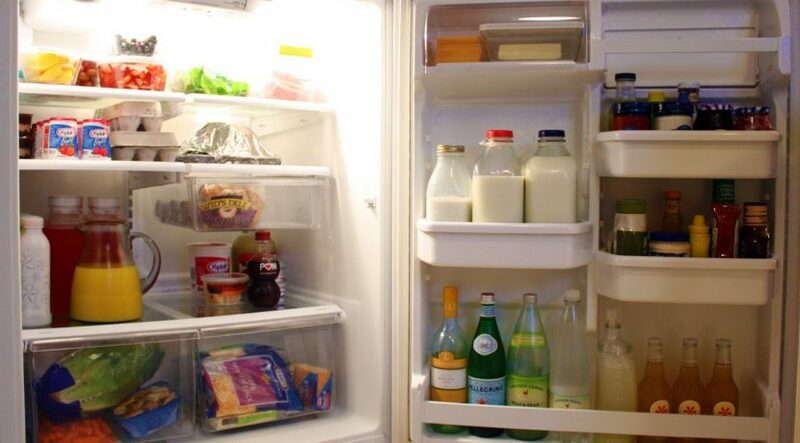 The drawer labeled vegetables or high humidity is the moistest spot in the fridge. Store in the original packaging or in a plastic bag, loosely tied. Fruit belongs in the low humidity drawer (sometimes marked crisper). Keep in the original packaging or in a plastic bag, loosely tied (citrus is fine with no bag). Tip: Leave vegetables and fruits unwashed until you use them. Water can promote mold and cause bacteria to grow. Deli meats belong in the shallow meat drawer, which is slightly colder than the rest of the fridge, or (if there’s no such drawer) on the bottom shelf. Butter and soft cheeses don’t need to be super cold, so they can live in the dairy compartment on the door (the warmest part of the fridge). Place soft cheeses, like Brie and goat cheese, in an air-tight container after opening them. Condiments are generally high in vinegar and salt, which are natural preservatives. So ketchup, mayonnaise, and salad dressing are fine on the door. Same goes for pickles and jarred salsa. Olive and vegetable oils can remain in the pantry. But nut oils, like sesame and walnut oils, belong in the refrigerator, also on the door. Orange juice can be stored on the door, as long as it’s pasteurized. Fresh-squeezed should be stored on the bottom shelf.